It is indeed true that the Google PlayStore has a plethora of Android apps to offer and this can sometimes be overwhelming for the user. Since there are too many different categories like Photo, video, productivity, news, social networking, Android users wonder which one to download and which one to not. If you too are in such a fix, we’re here to help. 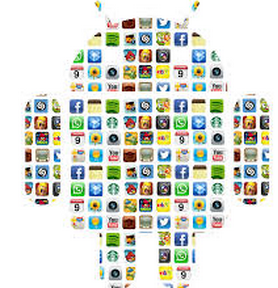 Now that it’s July, 2015, it’s time to take a break from the old apps and install some of the latest app for Android. Here’s a checklist. Star Wars: Did you know that Lucasfilm and Disney launched the Star wars app for Android and iOS devices that allows the users to take selfies in different iconic dresses and share the animated gifs with their friends. Through this app, you can also catch up with the latest Star Wars news. The app also features Star Wars themed weather and 5-day forecasts too. Tindog: Tindog is also a brand new app that is designed for both Android and iOS and this is perhaps the first social media app that has the goal of connecting dog lovers with other dog-owners who stay nearby and also share the same interests. The users who install Tindog can create a profile for their pet and search to find new friends. You can share photos of your dog to get in touch with some dog lovers nearby. Tossup: Don’t you feel that it is sometimes tough to connect with a large group of friends even when you have the facility of group messaging? Well, the good news is that Microsoft is trying to solve this issue through a latest app for Android called Tossup. There is Yelp built into this app so that you can find it easier to decide what to do when you all get together. Truemessenger: This is a replacement app for messages that is developed by Truecaller. You can block unwanted messages and automatically send spam messages to a different folder in order to keep your inbox organized and clean. It is possible to send random messages through this app. Therefore, if you’re tired of using those same old apps, keep a close watch on Android news so that you get to know the latest things in the market like the latest apps mentioned above.